Currently, there are no comprehensive guides to classical music available to the young adult reader. Most parents and teachers appreciate the value and importance of classical music, and would like to be able to pass on their enjoyment to the next generation. Yet there is a dearth of comprehensive classical music literature available to the young adult reader. 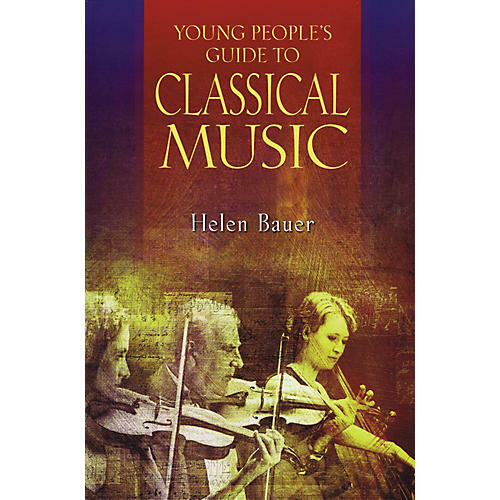 Young People's Guide to Classical Music covers all of the information needed for a thorough understanding of the elements that comprise classical music. Written primarily for people unfamiliar with these elements, this is a practical handbook as well as a reference. Included in the section on musical periods are segments that explain the general history and background of each era so that the changes in the music world are in context. This book is for the parents of music students, parents who want to nurture an interest in classical music in their children, young adults who already have an interest in this field, educational institutions that provide instruction in music, and adults who wish to increase their own familiarity with classical music and its composers.